Sara and I are back at home—after a wonderful week of workshops! While we are happy to be home, we had a great time, meeting demonstrators and customers alike. We spent yesterday with Cherie Bruce and her family and friends in a group meeting and workshop ended the weekend in grand style. 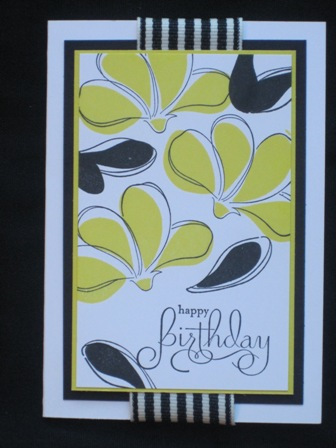 Cherie is a bubbly, fun personality, who loves stamping, and it shows. You could see the guests at both the demonstrator event and workshop appreciated her enthusiasm and enjoyed sharing this hobby with her. Another one of Cherie’s hobbies was also obvious when we met her—her love of landscaping. She works at a local nursery (so this is a very busy time of year for her), and her yard is amazing, bright with blooming flowers and meticulously manicured and designed. 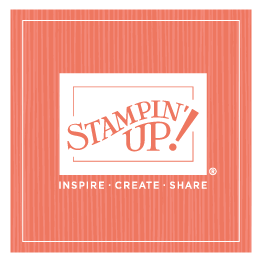 She has a great talent for creating—in her yard and in her stamp studio (her group is called “Garden of Life” demonstrators). We enjoyed meeting Cherie’s family as well. Her husband was supportive and fun (and spent most of the evening “watching” their dog, who is definitely one of the family!) Her parents drove all the way from New Jersey, just for the Workshop of a Lifetime, and it was great to meet them and see their enthusiasm and support for Cherie! I loved the projects we showed at Cherie’s workshop; they’re some of my favorites so far. I’ve mentioned before that I love the Awash with Flowers set, one of the stamps you can earn free this month with a qualifying workshop. What I haven’t mentioned (but what I have shared at the workshops) is that initially I was not in love with this set—I just didn’t think it was anything special. Then I started playing with it, and now it’s one of my favorites. You can do so much with this set. And when I talk about it at the workshops—and when we use it in the demonstration—it really does work great; we’ve had several guests book a workshop specifically because they want to earn that set. So that’s just an example of how you can use a personal story, and a personal favorite product, to encourage bookings. Cherie admitted last night that two-step stamping isn’t her favorite technique, and she not a Brights girl either. But after seeing the projects (they featured both), she got excited about both. Demonstrating and teaching with eye-catching projects really is powerful and can motivate people to explore things they normally wouldn’t . . . .